Welcome to Langkawi. 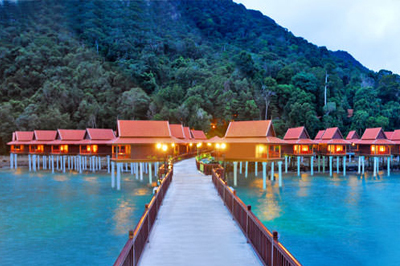 On landing in the Langkawi International Airport, you will be welcomed by our agent and exchanged to your inn. While whatever remains of your day is free at relaxation. Remain overnight at the Inn. After breakfast, continue for a half day island voyage through Langkawi. This visit will cover places, for example, Cable Car (Entry Fee excluded), Mahsuri Tomb, Eagle square, Drive past Quay Town, Crocodile cultivate, Bird Park. Return back to Hotel. Remain overnight at the Inn. After breakfast, look at the inn and get exchanged to the Langkawi International Airport for your flight to Kuala Lumpur. After registration, you have whatever remains of couple of mins and visit Kuala Lumpur Bird Park. He KL Bird Park is situated in the quiet and beautiful Perdana Botanical Gardens, 10 minutes from the Kuala Lumpur downtown area. Home to more than 3,000 winged animals of 200 nearby and remote feathered creature species, the primary component that recognizes KL Bird Park from other flying creature parks is the idea of free-flight. Walk around the recreation center, and accept the open door to see Mandarin ducks, peddle hawks, hornbills, ostriches and different winged animals. Keep in mind to bring photos with the diverse types of winged animals, and catch the encouraging system and day by day flying creature demonstrates occurring at the semi-outdoors amphitheater at 12.30pm and 3.30pm daily. Return back to Hotel. Overnight Stay at lodging in Kuala Lumpur. After finished your breakfast, continue for a half day City Tour of Kuala Lumpur. This City Tour will cover spots of intrigue, for example, the China Town, King's Palace. Drive through Lake Gardens, Photo stop at Old Railway Station, Merdeka Square, Sultan Abdul Monument building, Petronas Twin Towers and the Chocolate Factory. While whatever remains of the day is free at your recreation. Remain overnight at lodging in Kuala Lumpur. After your breakfast at Kuala Lumpur inn, exchange to the airplane terminal for your forward voyage with awesome occasion recollections.